Once upon a time, a little girl named Cathy sat in her Mother’s kitchen in rural Iowa, watching her Mother make amazing dinners every night with items from the garden or raised on their farm. The smell of baking bread when walking through the door after school is forever engrained in my memory. My Mother would tell stories about the food she was preparing and memories of her childhood and my Grandmother’s cooking. I come from a long line of great cooks who cooked from the heart. A pinch of this. A pinch of that. My Mother was one of six children raised in a 5 room home. Grandma Susie cooked all of her meals over a wood cookstove with all water coming from a water pump. Just think what she could do with today’s conveniences. Recipes and sharing of recipes is truly a gift for our families. It brings us together to create memories and traditions. Even in the hustle bustle of career and family commitments, this is a tradition I hold dear. After several years, I compiled a cookbook for my family and close friends including my favorite recipes and short memories of many dishes. Little did I know that my daughters would cherish these comments. 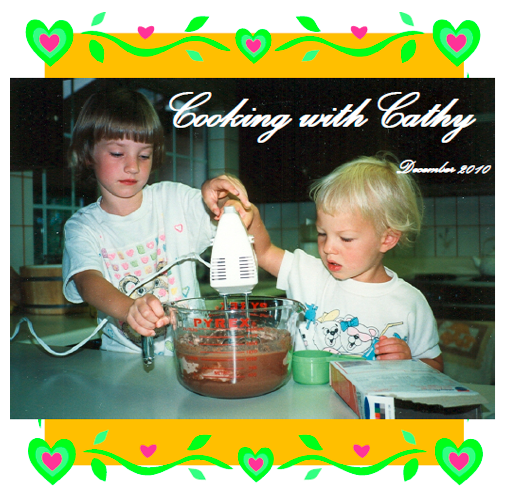 The picture below is the cover of my cookbook and captures daughters Megan and Sarah helping to make a cake when they were little girls. They loved to be a part of the process, especially when it came to a dessert and licking the bowl. In addition, I started a family Christmas newsletter several years ago that always included a special recipe. Friends and family have commented each year about how much they look forward to the newsletter and have adopted recipes shared as some of their favorites. After retiring last year from a corporate sales leadership position, my daughters encouraged me to take my stories and recipes to the web. I hope that you will join me on this journey and become an active part of this website and discussion. What stories can you recall from wonderful aromas and occasions in your family? What stories and traditions is your family weaving? Great post. I’ve just recently started compiling recipes into books. For my sister’s wedding, I put together a book of recipes that she loved when we were growing up, and had her husband’s mother send me some recipes that he loved when he was younger. I love how food and favorite recipes and traditions can tie generations together. Thank you for your comments! I’ll share more about things our family has done and will look forward to hearing about yours as well!